This is a pretty, rustic red rose graphic from a vintage postcard. 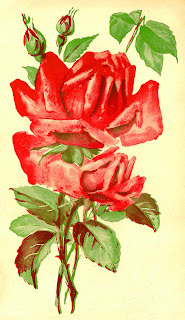 I love this rose clip art because it is so rustic, simple, and distressed-looking. Enjoy!